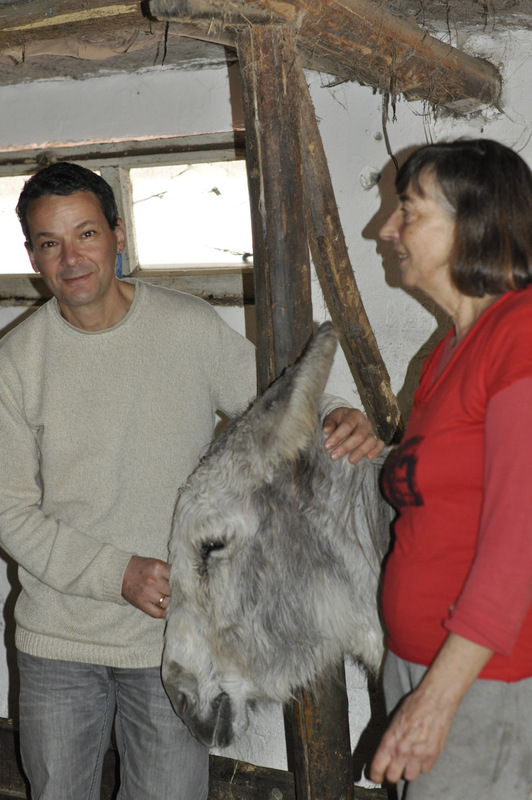 Once upon a time there was in the Donkey Paradise a much beloved volunteer. He, a traveler, had seen a lot of places in the world and now wanted to settle down and learn to grow his own food. 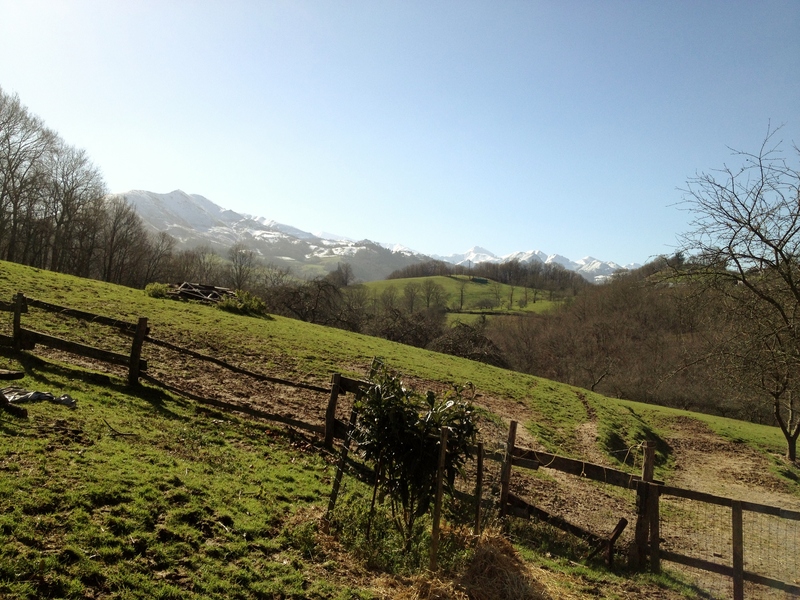 Around the cabaña in the valley he created his own small paradise. 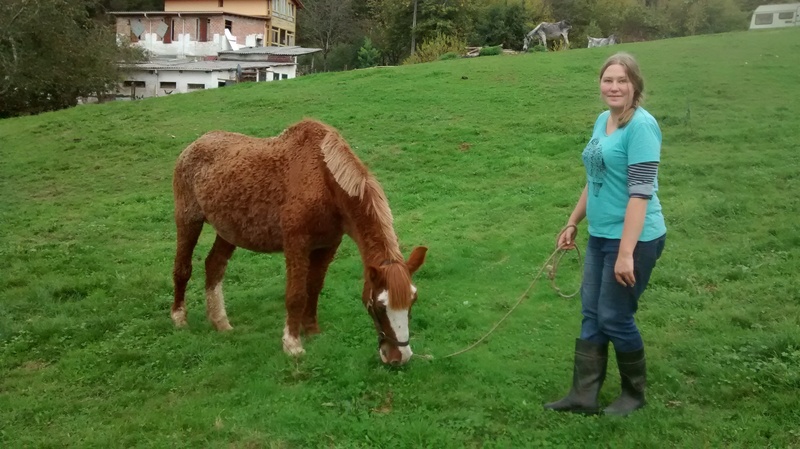 Miche -Michael – left after a stay of 2 years. He and Maria now have their own family. 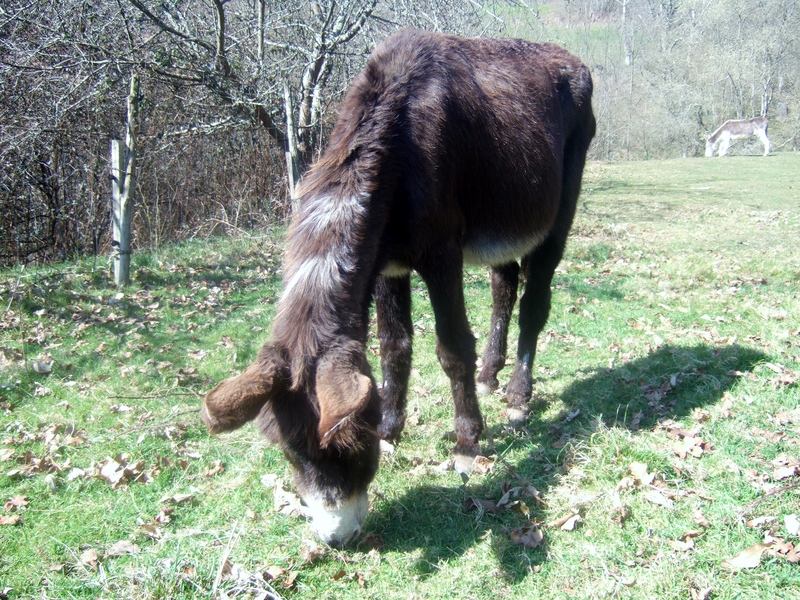 In case you wonder where the name of our new donkey ‘Miche’ came from: now you know, he was named after our volunteer with that name. 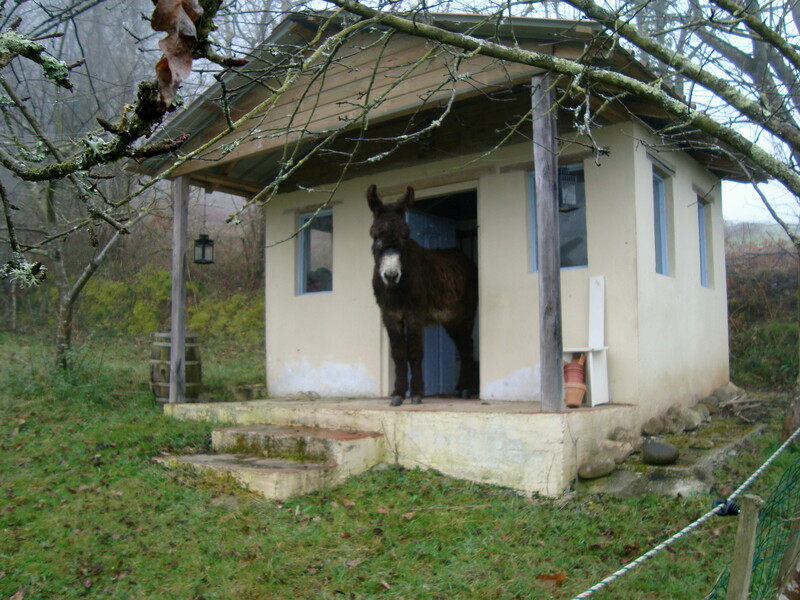 Donkey Miche came from Gijon, where he had lived alone and without a shelter in a plot of land near the harbour for over 15 years. 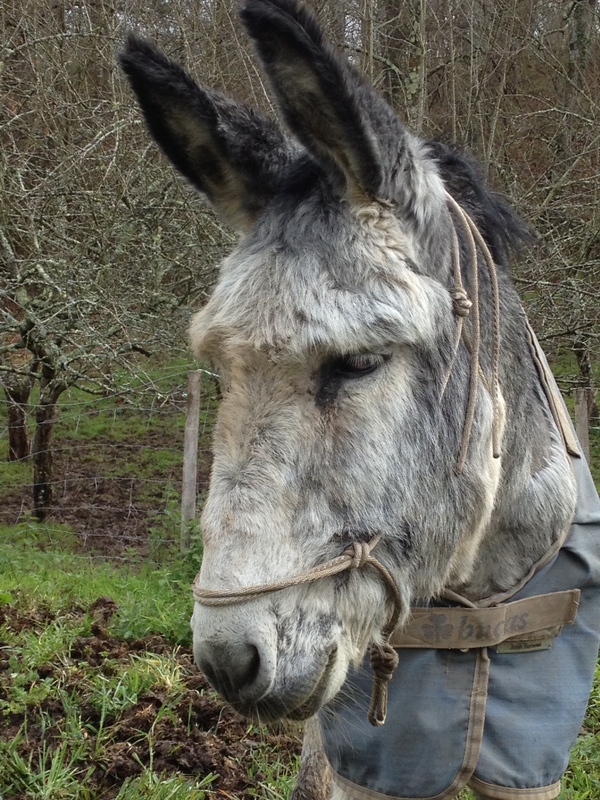 He is not really used to people or other donkeys. He wants to make friends but doesn’t really know how to go about it. 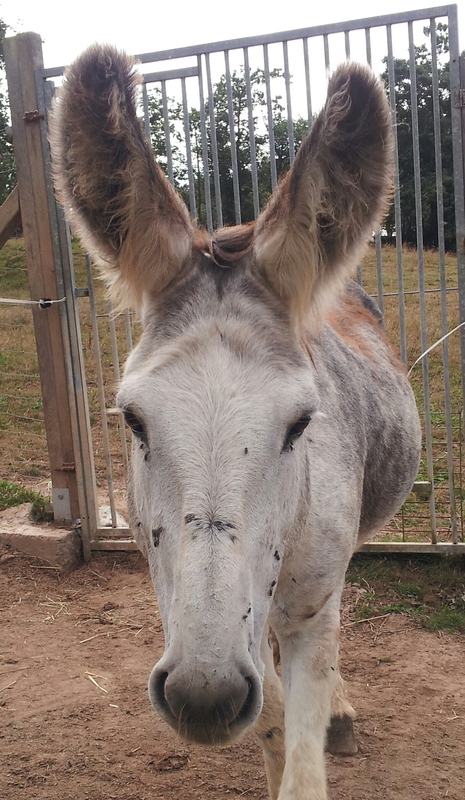 After his castration he will be able to live together with lots of other donkeys; he will be able to socialize and gain the skills needed to make friends and he will be well cared for. 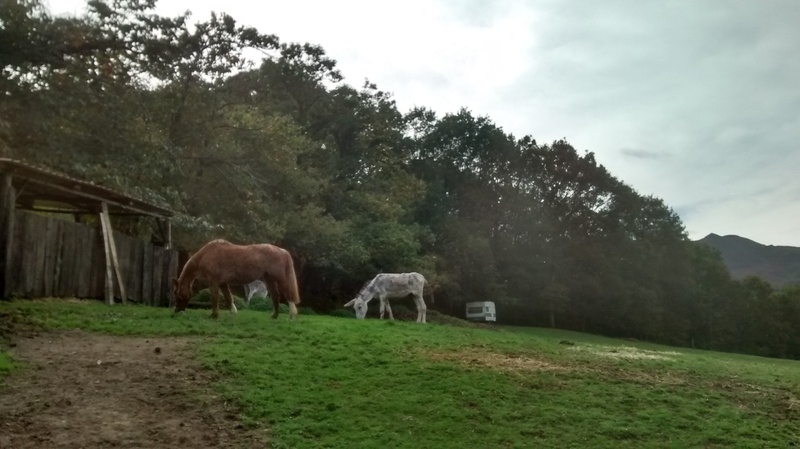 The good summer weather has meant that the many volunteers who have stayed here have been working mainly on outdoor tasks and their efforts have made a great difference to the environment here. In general the volunteers’ day starts with breakfast and animal care, in particular the cleaning of the stables, feeding the animals and providing them with clean water. Later, there is time for the volunteers to work on particular tasks and projects or certain aspects of animal care such as helping the farrier, cleaning the donkeys’ eyes and ears, grooming the donkeys or walking the dogs. 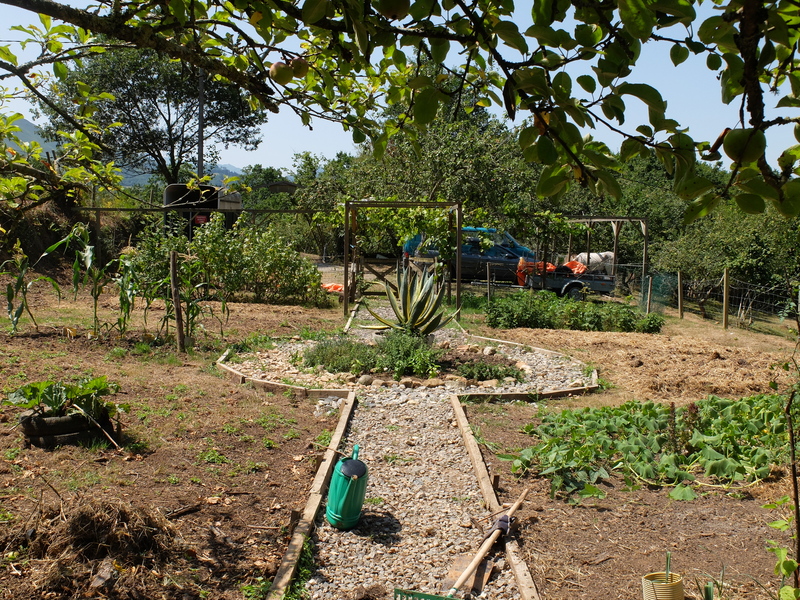 There are also projects within the grounds and this year some volunteers have been continuing with the pruning of old wood from the many apple trees or clearing and reorganizing the vegetable garden which has been greatly improved by a lot of hard work as you can see from the photo below. Vegetable garden cleared and ready to replant. The biggest project this summer has been the digging out of a small pond above the main Lily Pond to provide an area for quiet meditation. 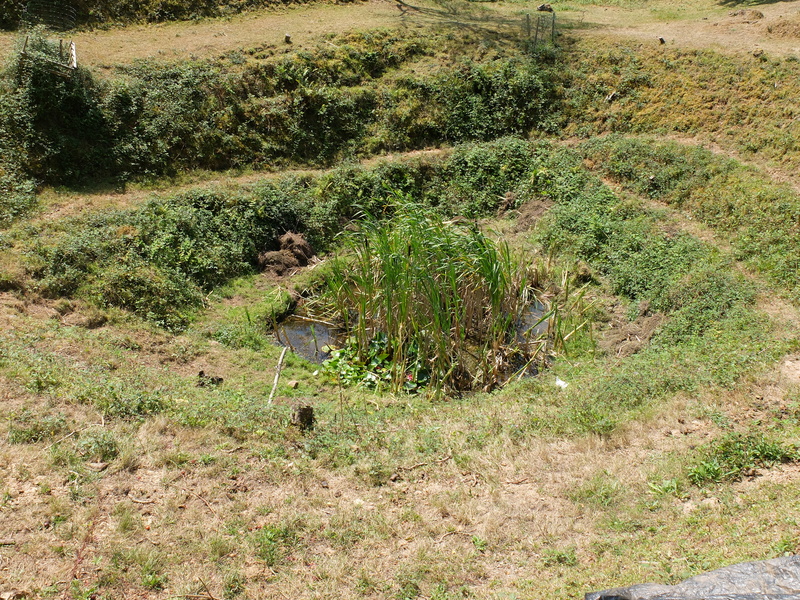 The excess water from the small pond will drain down into the Lily Pond. 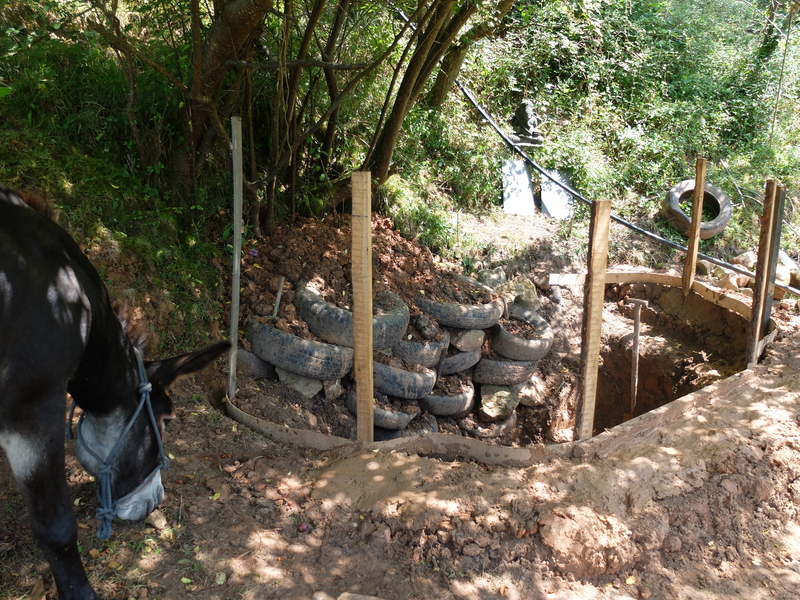 A fair number of vehicle tires were found abandoned in this area and, as they are difficult to remove entirely and to recycle, they are being used to form the bank of the pond and will be covered eventually with a lining which will hide them. We think that the pond is coming along nicely as these photos will show. New pond under construction and being inspected by Burribu. 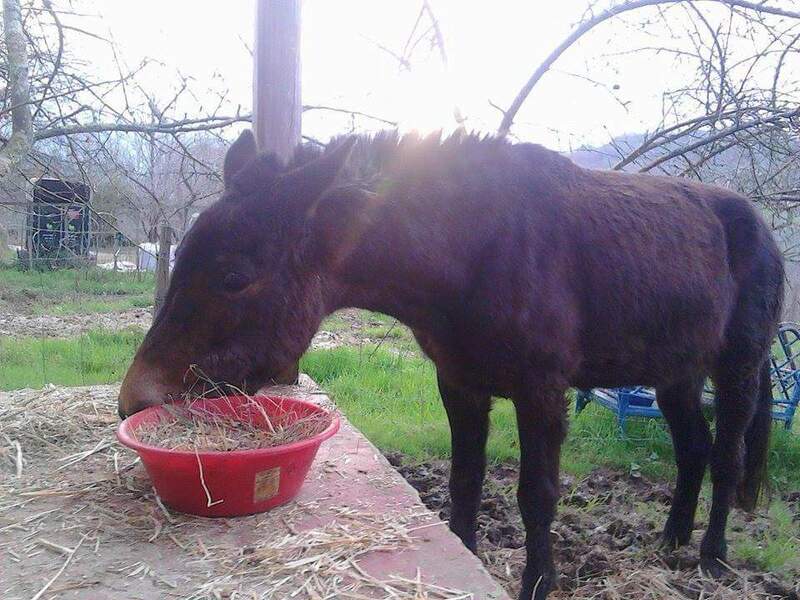 This year Luis, a great friend of the donkeys at El Paraiso del Burro (The Donkey Paradise), is undertaking three tough challenges to raise £1000 for Rosie, a donkey at our refuge. 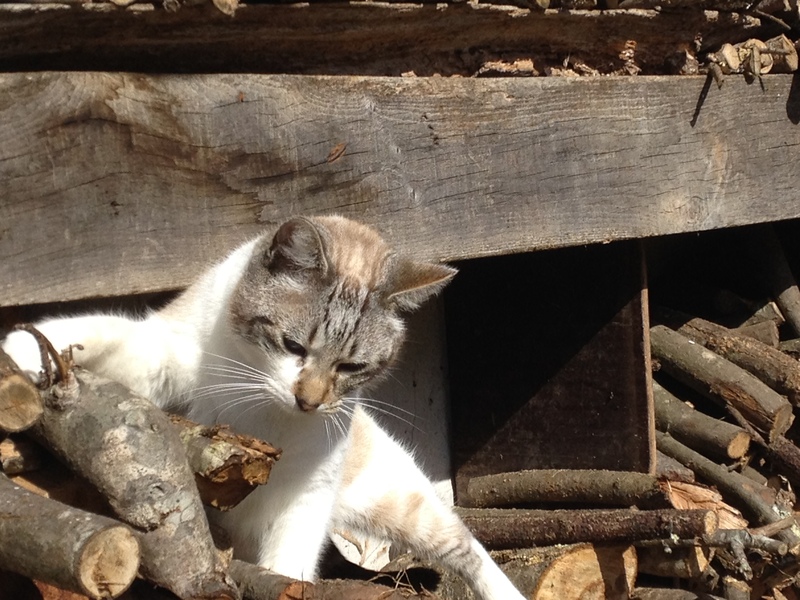 Rosie first came to us in 2012 after a neighbour of her previous owner contacted Marleen to say that Rosie was going to be euthanised as the owner no longer had a use for her. 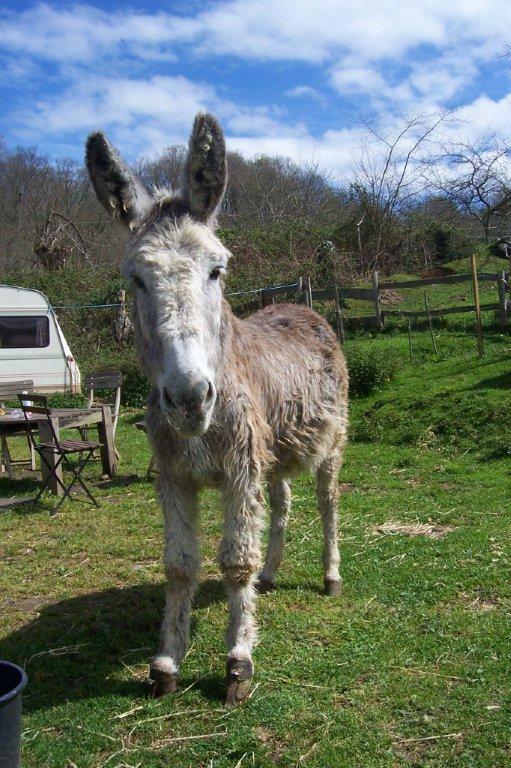 Rosie was around 25 years of age, in poor health and with severe hoof problems which meant she had great difficultly in walking. 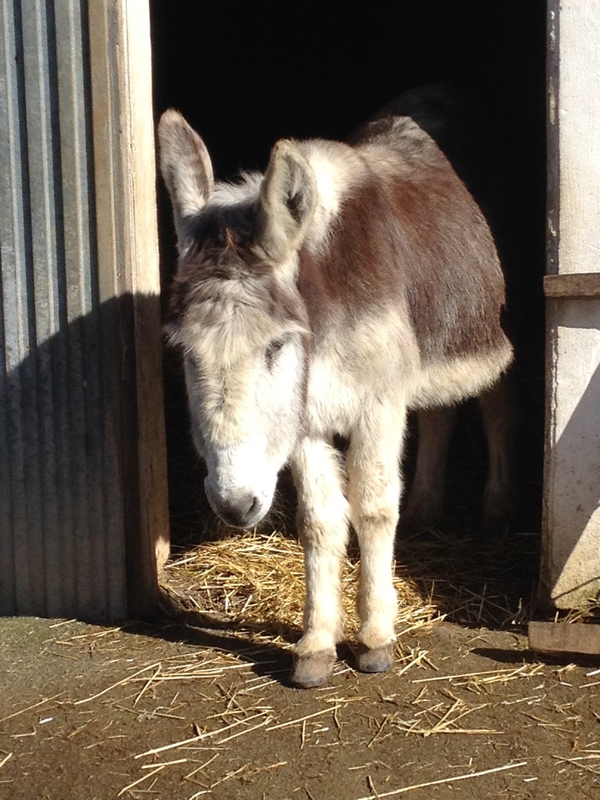 Despite all her problems, Rosie is a very adorable donkey with a sweet nature. 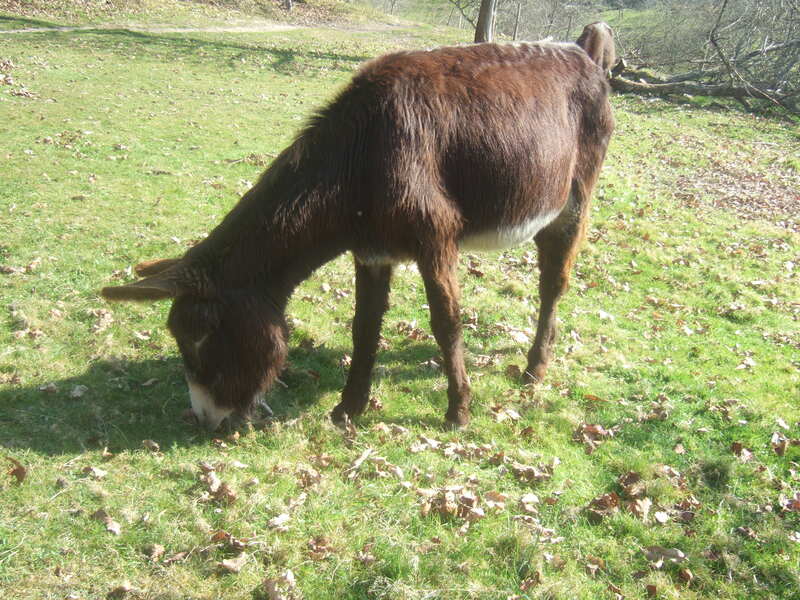 She has settled into the refuge well and has received a great deal of continuing care for her health and hoof problems. 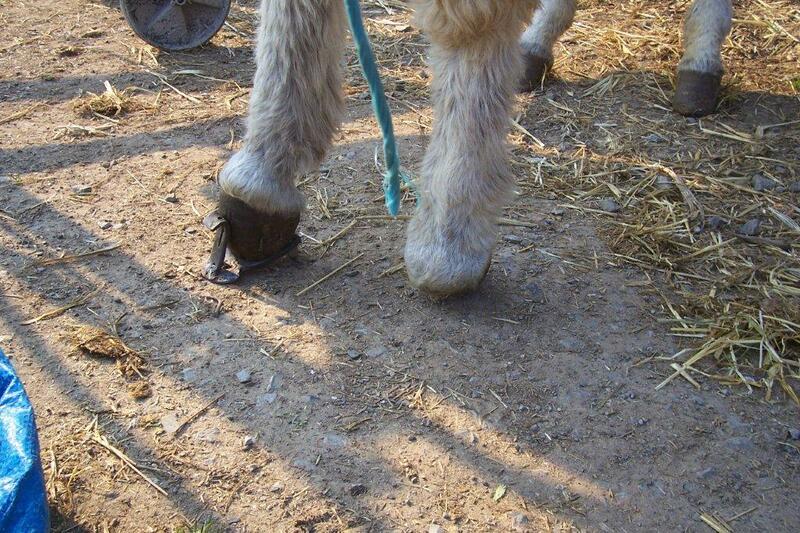 The farrier fitted Rosie with specially adapted “heels” to correct her posture and strengthen her legs. 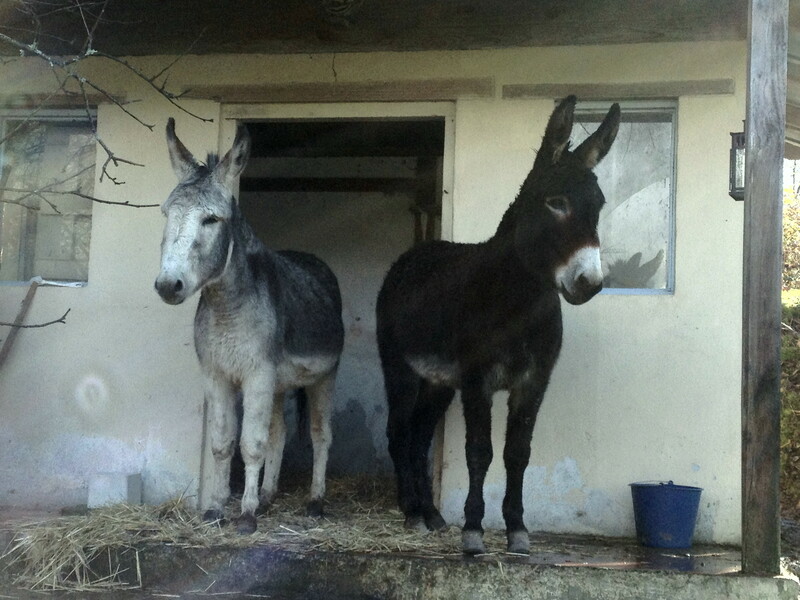 Each donkey at the refuge costs about £500 per year to be fed and cared for. 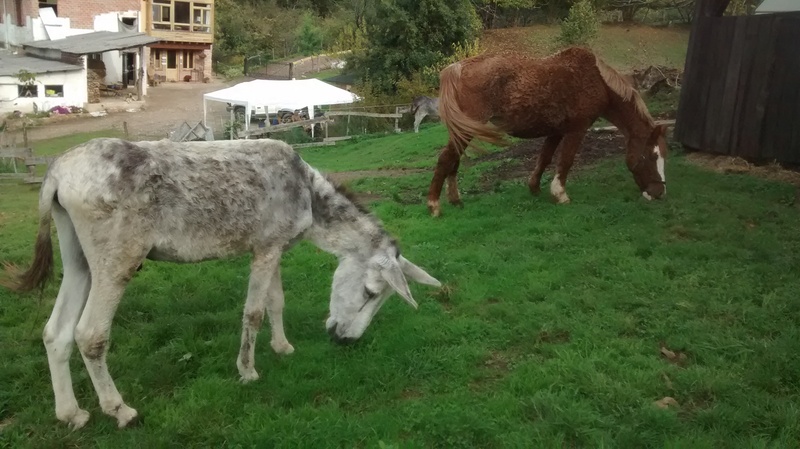 Many need regular veterinary care and all of the donkeys need hoof care regularly. By undertaking three challenges, Luis aims to raise enough money to cover the cost of Rosie’s care for two years. 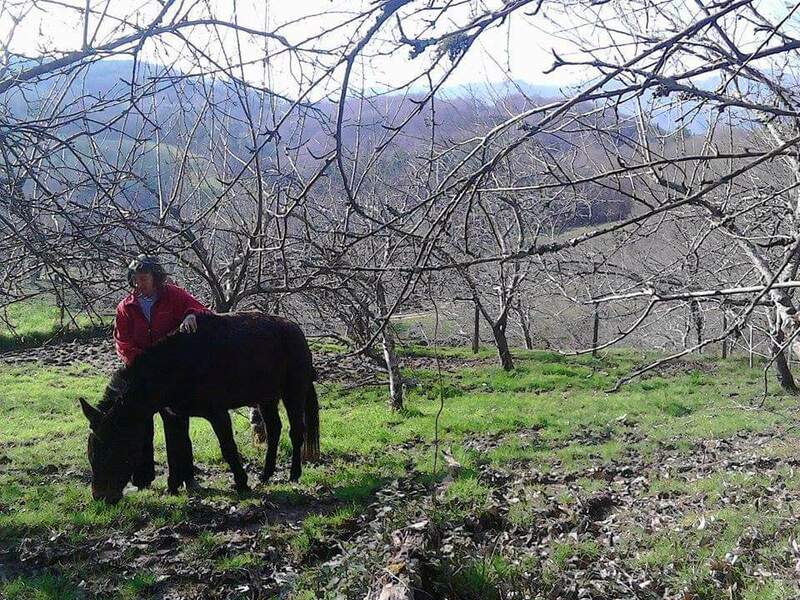 This Spring he will cycle to the mountain lakes in the Picos de Europa mountains, a tough 100km ride up steep terrain; he will walk a tough 50km mountain hike and he will also cycle 160km in one day along the canal of Castille. Luis would welcome all the support he can get in order to complete his challenges and his goal of raising £1000 for Rosie. 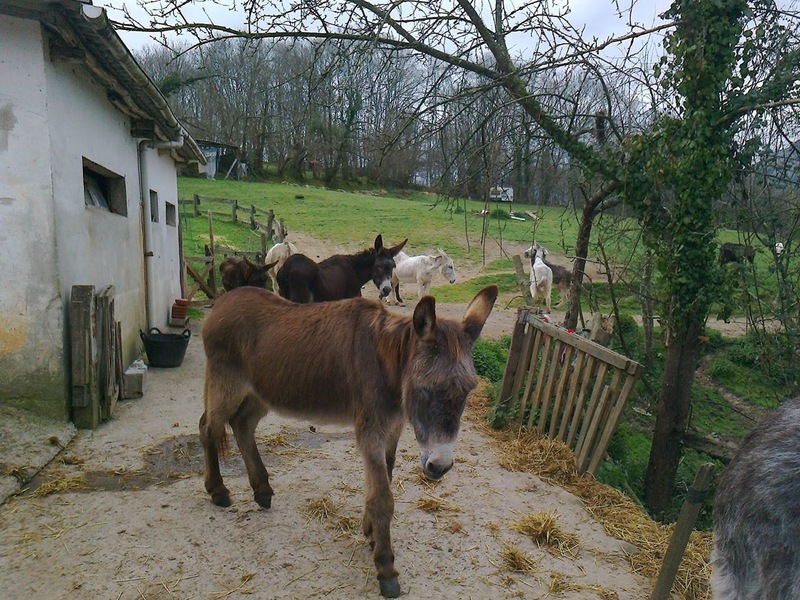 Winter Tales is just a play on words as at “El Paraiso del Burro” there are so many tales: most are happy ones and many are wagging and wafting tales of different shapes, sizes and colours! How is the winter progressing for our followers? 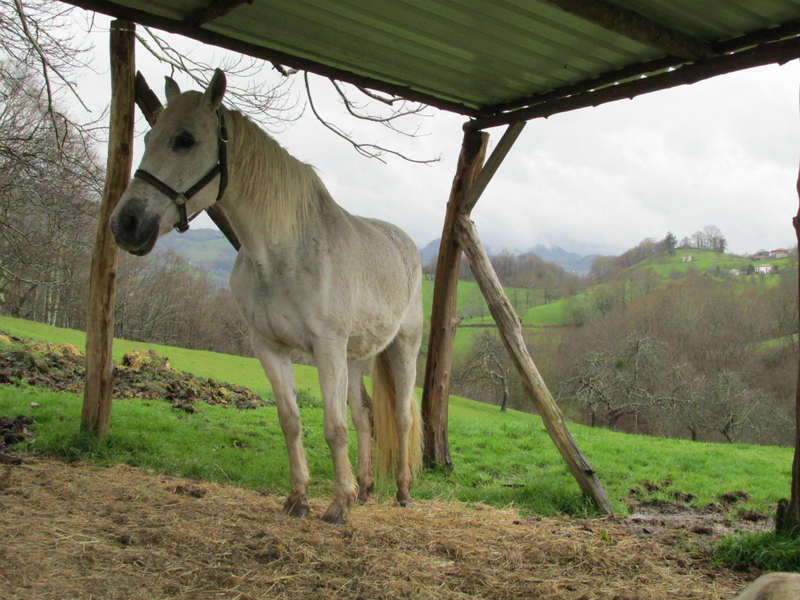 The beginning of February was rather stormy in Asturias, with the arrival of heavy snow, although we were lucky enough not to get any snow here at El Paraiso del Burro as we are a not so far above sea level. 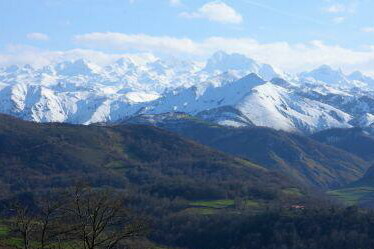 However, the snow can be seen all around us and some parts of Asturias were totally cut off by deep snowfall. 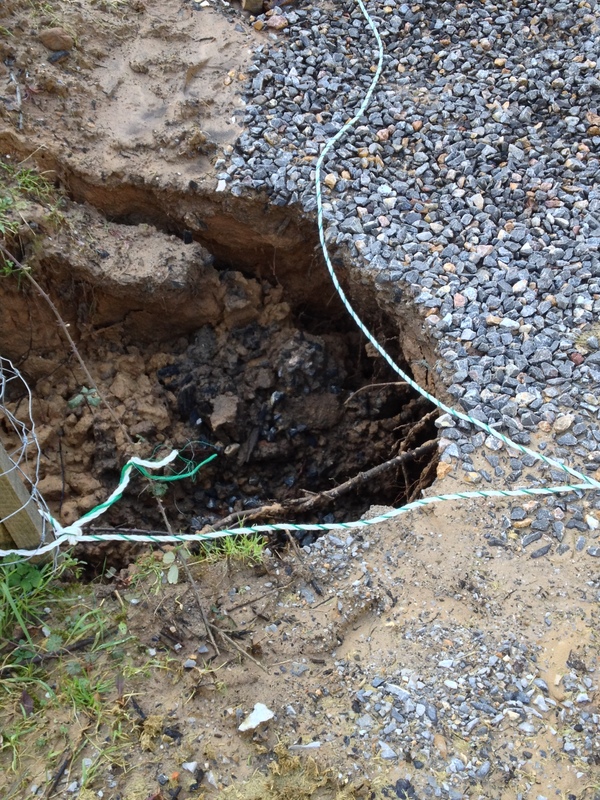 Furthermore, the main road just below the sanctuary is now closed indefinitely due to a landslide following heavy rain. The donkeys have spent a lot of time indoors in January and February and so, when the sun finally came out this last week, the donkeys especially were very glad to get back out into the fields. 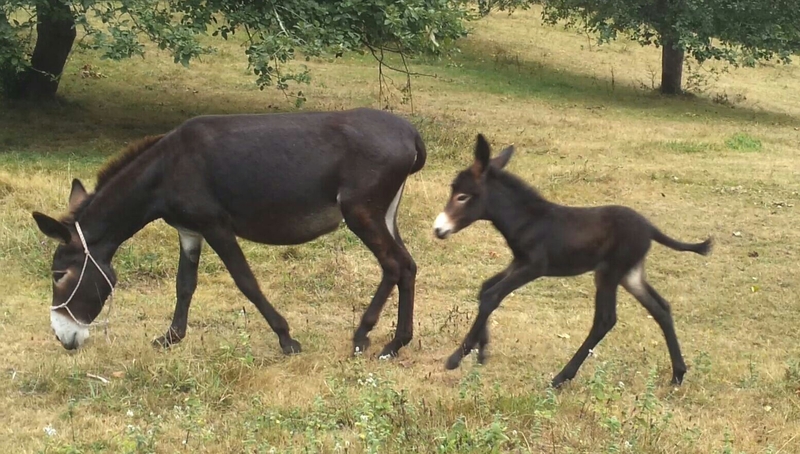 In January we received two new donkeys all the way from the Pays Basque: the lovely Burri and her daughter Burriki. 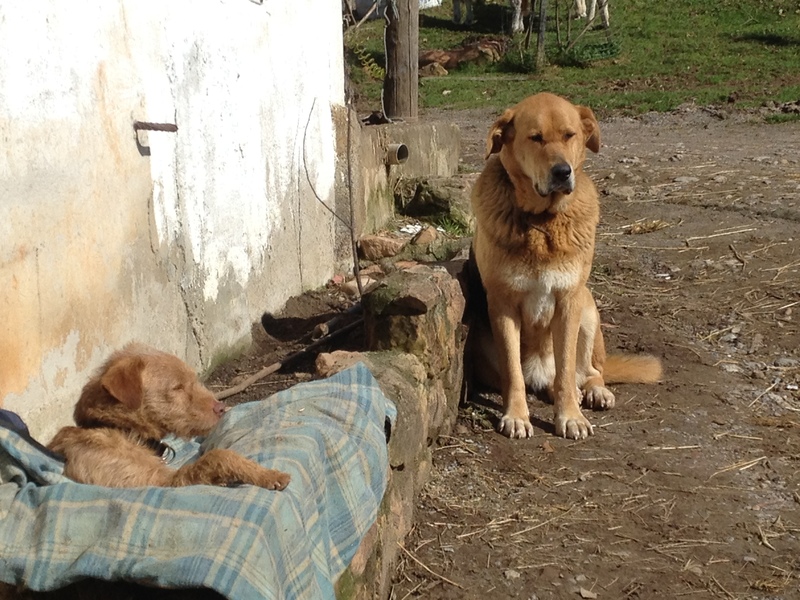 Both were well loved but unfortunately their previous owners were unable to keep them and contacted us. Work continues of course and our willing volunteers are always busy, with stable cleaning and animal care especially high on the list. 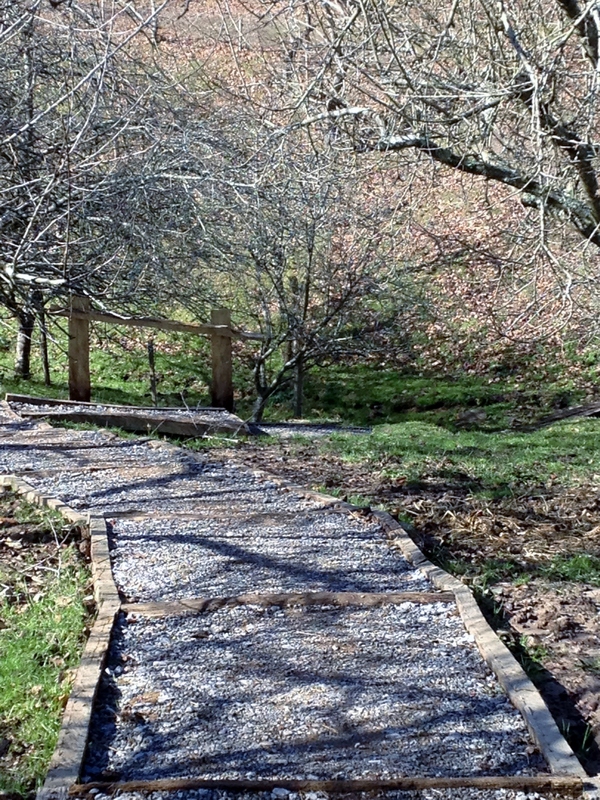 This month there are new apple trees to be planted and continuing work to provide new pathways. 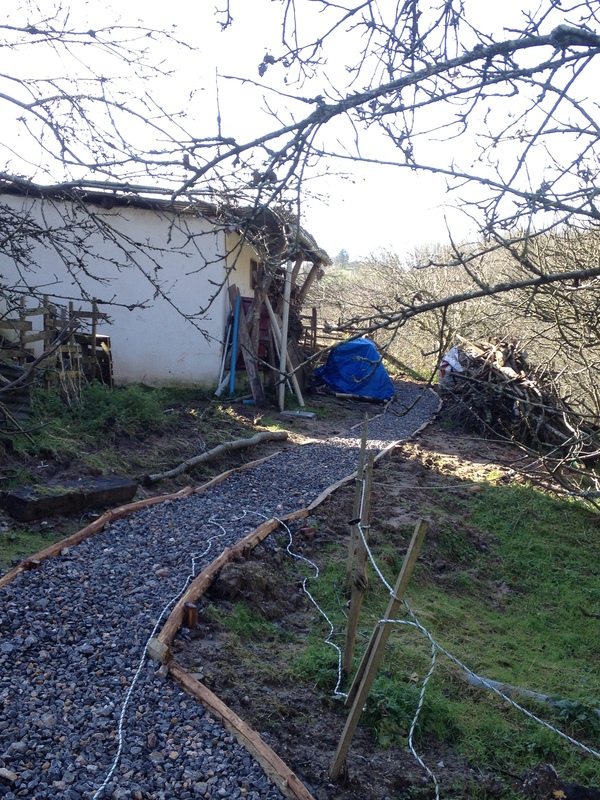 As you can see from the photos, the pathway leading to the cabin is coming along well and provides a much safer route and a new path is also being constructed behind the house to provide a dry route through an unusually muddy area. 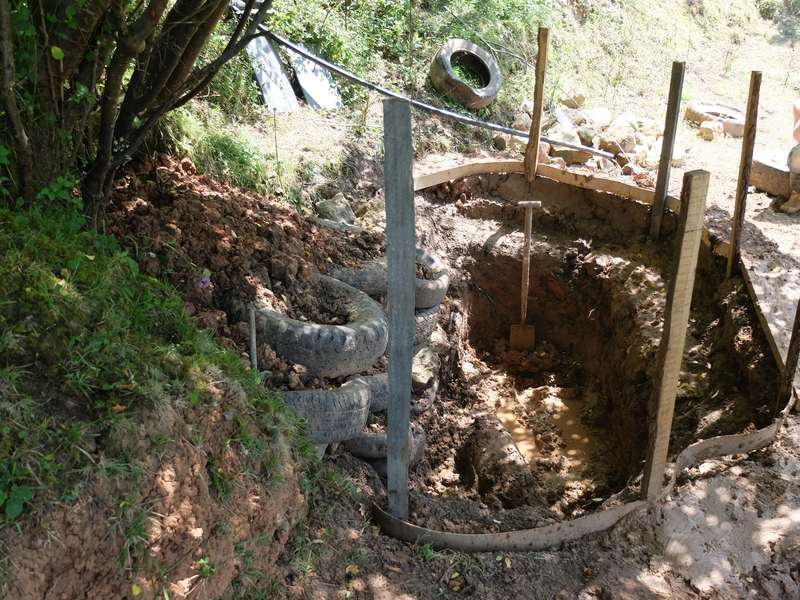 Unfortunately, in the process of laying the path, part of it gave way due to water erosion and now a new drain will have to be put in to divert the water away. 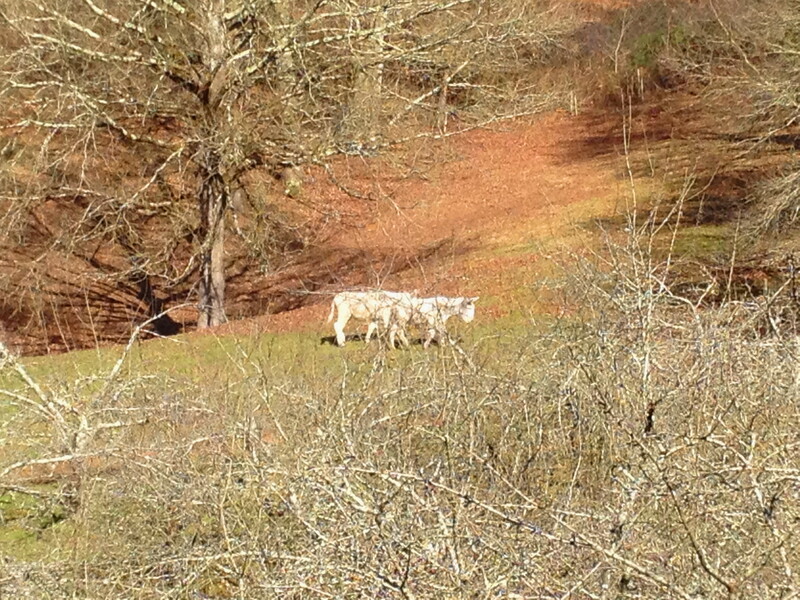 I hope you enjoy these photos of the landscape and the animals enjoying the sunshine after the rain. 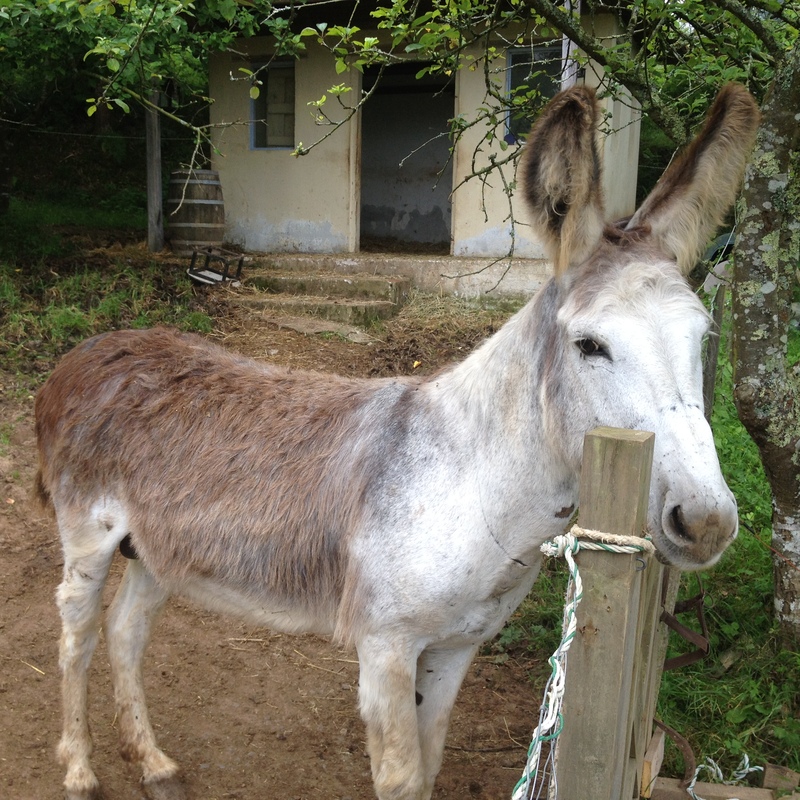 Five years ago the cattle-dealers of Arriondas came to drop off a friendly little donkey with curly hair. 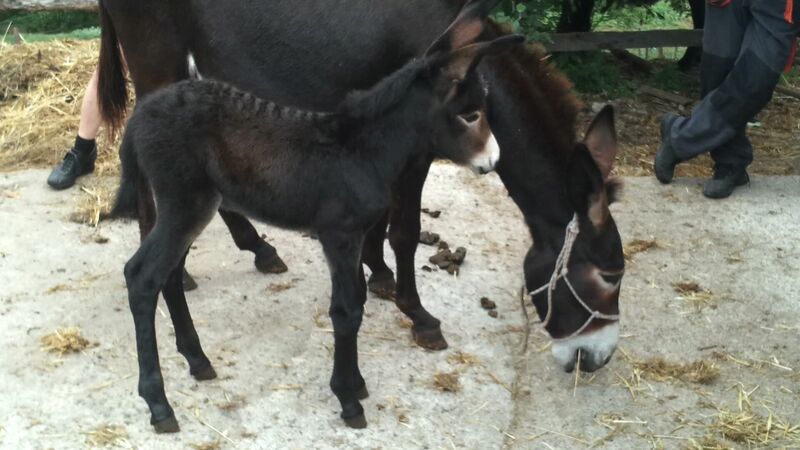 As this happened the day before our great helper Leo went back to Holland, the donkey was named Leo after him. Leo immediately adopted him and has done so ever since. 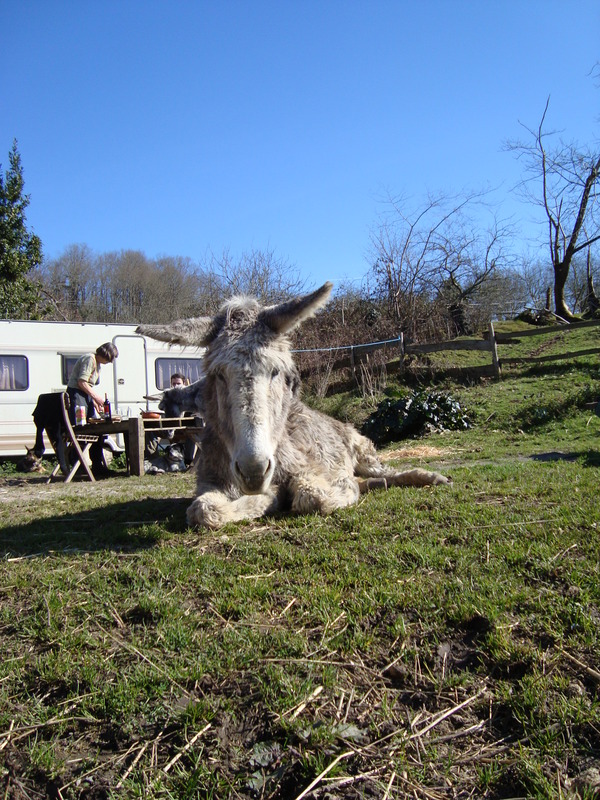 Last Saturday night little Leo left us and his fellow donkeys forever. Leo had the most piercing bray imaginable; when he started braying we all ran out to see what was happening. 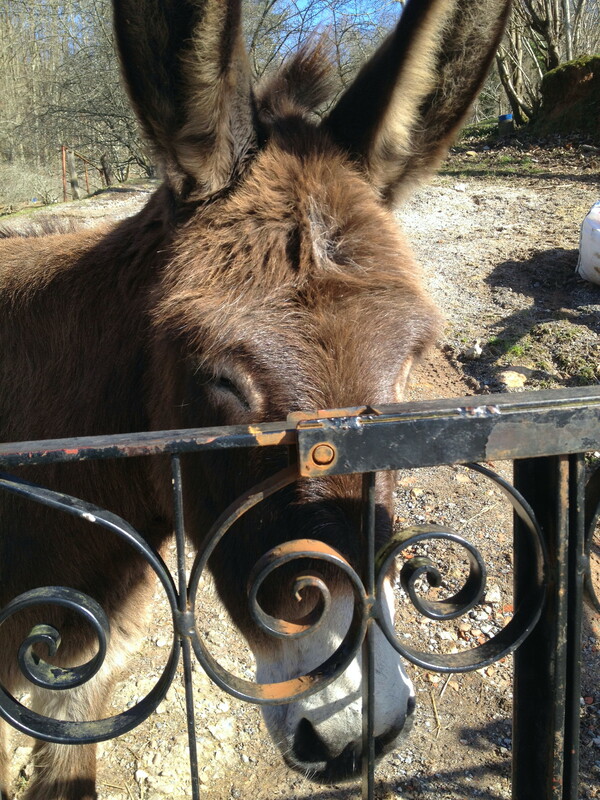 But he soon gave up braying and became one of the quietest, friendliest inhabitants of the Donkey Paradise. Last Saturday he seemed a bit feverish and was given penicillin twice. He hardly touched his food. In the evening he lay down and he died very early the following morning. Rest in peace, little Leo. 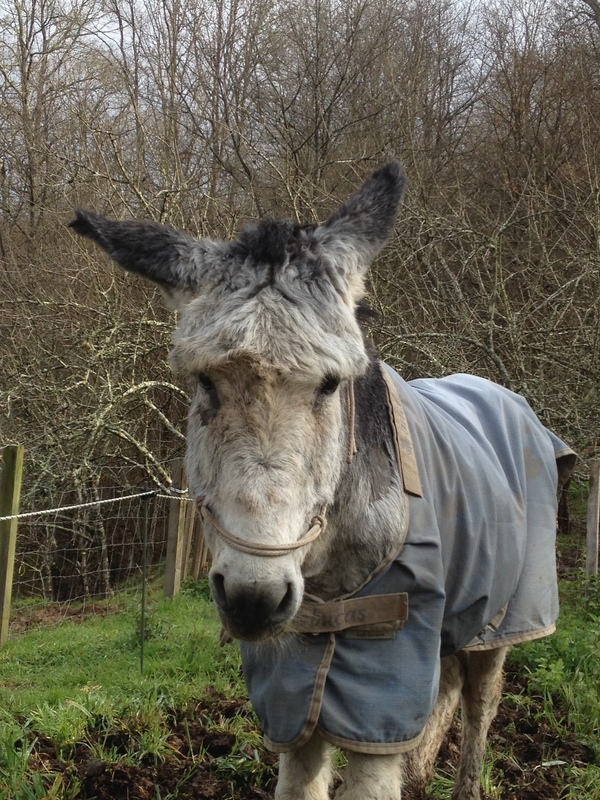 If there exists a donkey heaven, you will most certainly be there. The people that have known you while you were here, will always remember you with love and affection.